The United Kingdom is officially known as the United Kingdom of Great Britain and Northern Ireland. Luckily, very few people feel the need to refer to it as such. At one point, the United Kingdom was the world's major superpower, with its colonial fingers stretched across a quarter of the world's land. That was little more than a century ago. But in the intervening century (the fire-spewing 20th century), the UK and the Western world at large, has seen two World Wars which have drastically reduced the international power of the UK. Politically, the UK has become a middle-ranking power, retaining this status by virtue of its seat on the United Nations Security Council and its nuclear capability. Culturally, the UK is still a place of supreme importance: the mother of the English-speaking world, the birthplace of many great artists, novelists and thinkers, and a haven for the pub-thirsty. 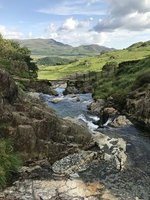 The four nations which comprise the UK are distinctive destinations, but one similarity is shared by all: a warm, hospitable manner which challenges the cold, damp weather. The history of the islands off the coast of north western Europe is a long one, with human settlements dating back thousands of years, and there are a number of monuments and structures on the islands from these "pre-history" times, including Stonehenge. In 43 AD, the Roman Empire started a conquest of the islands, and remained in rule over parts of Great Britain until the 5 century AD, and were the first people to build a bridge across the Thames River at the site of present day London Bridge in London. After the withdrawal of the Romans, the islands split into a number of different kingdoms and saw various rulers rise and fall from power, including the Anglo-Saxons, Vikings and Normans (French). England, Wales and Scotland all eventually became protestant kingdoms, while Ireland remained mostly Catholic. After the Treaty of Union that was agreed on 22 July 1706, the United Kingdom was formed on May 1st, 1707 when the Kingdom of England (at the time which included Wales) and the Kingdom of Scotland formed a political alliance. The Kingdom of Ireland was brought into the United Kingdom in 1800, though in 1920 a number of counties formed the now independent country of Ireland, leaving only 6 counties in Northern Ireland still as part of the United Kingdom. In the 18th and 19th century, the United Kingdom saw the development of the parliamentary system and the industrial revolution. It was the heart of a vast colonial empire, with outposts across the globe. The British Empire was often said to be the empire on which the sun never sets, as it's global reach ensure that it was daytime in at least one of its numerous colonies or subject nations. The first 50 years of the 20th century saw two world wars, in which the United Kingdom were one of the key combatants. After World War II, most of the United Kingdom's overseas colonies and subject nations became independent from the United Kingdom, however many still have strong links to the UK through participation in the Commonwealth of Nations. The second part of the 20th century saw the return of troubles to Northern Ireland, with the 1969 riots and Bloody Sunday (1972) as the darkest days. The I.R.A. brought terror to Northern Ireland, England and occasionally to mainland Europe. An end to these troubles came in 1998 with the Belfast Agreement. Other events that caused a lot of tension within the UK, was the closing of many of coal mines and steel mills, leading to massive strikes in the 70's and 80's. The United Kingdom joined the European Union in 1973 (after being vetoed by the French in 1961), and has played an important role in the further development and growth of that body over the years. However, in June 2016, the people of the UK voted to leave the union, and while the rest of Europe continues to develop closer ties, the trend within the United Kingdom itself is also heading in the other direction. Both Scotland and Wales have examined the idea of gaining independence from the United Kingdom. Scotland has created a Scottish Parliament, with Scottish Independence Party currently in control and the potential for a legislative way to gain independence. Wales has a Welsh Assembly with limited legislative powers. The United Kingdom is a series of islands off the North-west coast of the European continent. The largest island is Great Britain, containing the countries of England, Wales and Scotland. Northern Ireland, 6 counties in the north-eastern part of the island of Ireland makes up the fourth of the four "home nations" of the United Kingdom. In addition to these two large islands, there are over 1000 other islands that form the United Kingdom. The United Kingdom has a land mass of 245,000 km². The tallest point in the United Kingdom is Ben Nevis, in the Nevis Range in Scotland at 1,344 metres above sea level. The United Kingdom has 12,429 kilometres of coast line, and is criss-crossed with rivers, so that the visitor is never far from water. The longest river is the Severn River, running through Wales and England. The United Kingdom shares an international border with the country of Ireland. At it's closest point, the United Kingdom is only 35 kilometres from France, separated by the English Channel. The island of Great Britain is connected by an underwater tunnel to the European mainline which is called the Chunnel. The United Kingdom consists of four home nations located on the British Isles that have unique cultures and histories that are intertwined. England is the largest both in size and population. Scotland is the rugged northern region with beautiful highlands and islands. Wales is in the west, bounded on the west by the Irish Sea and is also notable for its beautiful mountainous landscape. Northern Ireland is the northeastern part of the island of Ireland and can only be reached by boat or plane from the rest of the UK. It is extremely important for visitors to be aware that England is not a synonym for the United Kingdom, even if it is often used as such in the United States and in France (and even, sadly, in England). Using 'England' to mean 'Britain' or 'the UK' may well cause offence in Scotland and elsewhere. London is the capital of UK and England and is the largest city in the country. Manchester is a large city in the northwest of England. Liverpool is the famous port city in the northwest. Oxford is home to one of the best universities in the world. Bristol is a southwestern port city. Birmingham is a midlands industrial metropolis. Leeds in west yorkshire is a city which owes its expansion to industrial age manufacturing. Newcastle was once the worlds largest centre of ship building and repairs. It is located in the northeast of England. York in North Yorkshire is a historic city dating back to Roman times. Inverness is often regarded as the capital of the highlands, although the city itself is hardly above sea level. Londonderry, or Derry for short. London - Many people visiting the UK sometimes only stick to London and the immediate surroundings. Though the UK has far more to see and do than just London, you could spend weeks, or even months, in the city without getting bored. The city is huge, one of the biggest in Europe and has a fantastic charm. It's a must-see when you are only visiting Europe for several weeks. The core is the City of London, which has most to offer for the traveller. The city can easily reached by public transport or plane, but please don't come by car: it's both frustrating as well as expensive. Within London are many different landmarks such as Big Ben, Tower Bridge and Buckingham Palace. All these place and others are extremely popular with tourists. Liverpool - The city of Liverpool owes its status as a major city to its development during the industrial revolution when it served as a major port and gatewway to Africa and the Americas. This means that it owed a lot of its wealth and development to the slave trade and the cities new International Slavery Museum is a testament to injustices done. In more recent history much of Liverpool's attraction to tourists comes from its title as birthplace of The Beatles. The Cavern club and John Lennon's childhood home of Mendips being notable attractions. Liverpool is also home to two of the worlds most famous football teams. Every year in August Liverpool also hosts the Matthew Street festival. A celebration of music. Manchester - Another city which owes its expansion to the industrial revolution. Canal and train links with Liverpool enabled it to become the worlds largest marketplace of cotton products. Many old cotton mill buildings and warehouses are still standing in the region. The Manchester ship canal allowed ships direct access to the city. The canal still stands as a testament to constructional feats of that time. The city has now become a modernised urban centre of culture. It has a very popular music scene. Titanic Belfast - The Titanic Belfast is a new museum that opened early April 2012, exactly 100 years after the famous Titanic made here first voyage and ran into an iceberg and sank, killing hundreds of people. The Titanic Belfast museum is a monument to Belfast’s maritime heritage on the site of the former Harland and Wolff shipyard in the city's Titanic Quarter. It also tells the stories of the Titanic's sister ship RMS Olympic and HMHS Britannic. The building contains more than 12,000 square metres of floor space, most of which is occupied by a series of galleries, plus private function rooms and community facilities. There are tours as well and safe at least 1 to 2 hours for a visit to this fabulous museum. Full prices for adults are GBP 13.50, but seniors, children and students can visit with discounts. The museum is open all year round, except 24-26 December, from 9:00am to 7:00pm April to September, and 10:00am to 5:00pm October to March. The Giant's Causeway and Causeway coast is the only site in Northern Ireland placed on the UNESCO World Heritage List and is one of the main highlights of the country. The scenery around the Giant's Causeway and on the North Antrim coast can indeed be classed as some of the most majestic that you are likely to find anywhere in the world. There are not just awe inspiring cliffs sweeping down to coves and bays but also the relics of ruins such as that of Dunluce Castle (which is indeed another site to be visited in its own right). Tiny harbour and fishing villages show that the area was indeed reliant on the coast as a form of income and food - Port Ballintray and Ballintoy being two fine examples. St Kilda, one of the Outer Hebrides, is the most isolated part of the United Kingdom, now having no permanent population. It had a population until 1930. Until the 20th century life was very hard but the population was able to sustain itself at a near subsistence level. Then it became dependent on tourism and imports. During the First World War supplies were maintained by the Royal Navy and when this stopped the feeling of isolation was heightened. After some major epidemics they applied to be repatriated to the mainland. The island now belongs to the National Trust for Scotland and is a major wildlife reserve. It can be reached by helicopter from Benbecula in 20 minutes or by boat from Harris in a few hours - a difficult crossing over the open Atlantic. The Glastonbury Festival is the largest greenfield music and performing arts festival in the United Kingdom. It started in 1971 with 1,500 attendees, but has now grown to a massive festival with over 130,000 people attending. Glastonbury takes place in Pilton, Somerset, over three days on the last weekend of June. If there's one music festival to challenge Glastonbury, it would be the Reading Festival. Similar to Glastonbury, Reading has managed to stay true to it's indie rock roots, and attracts about 75,000 guests annually. The Edinburgh Fringe takes place in August every year, and is the largest arts festival in the world. There are a number of varied performances from classic works, alternative arts and more mainstream fare. The festival takes place in a number of venues (over 250 in 2006) throughout Edinburgh, including a number of street performers on the "Royal Mile" in Edinburgh's old town. Is a popular city wide festival which occurs every year on the August bank holiday weekend. It is a free festival in which bands and artists play on outdoor stages around the city centre. Due to its popularity the city can get quite busy during this weekends. Notting Hill Carnival happens every August Bank Holiday (last Monday of August) in London. The main day, Monday, is preceded by built-up days taking place in Alexandra Palace and Marble Arch. Sunday is kids' day, whilst the actual festival day shows a spectacular parade to rival Rio. There are plenty of stalls, selling foods from all over the world, but primarily remaining true to its Caribbean roots. There are live bands and DJs in the many sound systems set up in surrounding streets so you can continue to party long after the midday parade. Whilst most of West London grinds to a halt as the party reaches all the way down to Westbourne Park and Royal Oak in the north, most tube stations in the area are closed, and buses suspended, or very packed, at least. So although those spiky heels look good on the dancers they might not be the most practical- be prepared to walk for miles. Local residents often sell sodas, water and beer on the streets, and some even let their toilets be used- all for a fee, of course. The most famous of all the tennis tournaments is the two week long tournament that is played on the grass courts of Wimbledon, in june and july. The venue for the matches is the All England Lawn Tennis Club. Getting tickets to go and see a match is not easy as the tournament is the most popular in the calendar. More information can be found on the Wimbledon website. Besides the courts there is a museum, which can be visited throughout the year, daily: 10:00am - 5:00pm. Visitors of the Museum, can also book a tour of the courts, on most days of the year. It is however advised to book ahead. A similar celebration to the ones held in the US, Halloween is the perfect excuse to dress up as anything and everything and act out your childhood fantasies. Plenty of establishments throw costume parties and you are bound to see more than your fair share of drunken zombies crawling through the streets until the early hours of the night, throwing inhibition to the wind. Strangely enough, the English festival on November 5 celebrates the failed attempts of terrorist Guy Fawkes to blow up Parliament in 1605. Each year, impressive bonfires are constructed in public arenas and traditionally burn effigies of Fawkes on top. Huge firework displays can be seen throughout the country in park areas and backyards alike. For centuries, May Day has been celebrated in England on the first of the month. While not quite as popular as they once were, the festivities today are locally-orientated and centered around the symbolic Maypole, and includes Morris dancing and the crowning of a May Queen. The festival dates back to the pagan beliefs of the Anglo-Saxons. Famously fickle, predicting the weather of the United Kingdom seems beyond Britain's most experienced weather forecasters. Generally speaking, the UK has cool, wet winters and warm, varied summers with temperatures lower in the north and rainfall lower in the east. Temperatures in summer are mostly between 15 °C and 20 °C, although the north of Scotland is slightly cooler and the area around London is warmer. Winters are generally above zero during the day and around or slightly below zero at night. Some areas buck this trend, however, with the southern coast of Devon and Cornwall (and particularly the Isles of Scilly) experiencing warmer, drier summers than the rest of the country. The West coast of Scotland can experience very pleasant weather during summer months due to the influence of the North Atlantic Drift. For more information regarding the weather in the UK, you can also check the articles about England, Scotland, Wales, Northern Ireland, Isle of Man, Jersey and Guernsey. The BBC Climate Guide page for the UK has further detailed information. There are many international airports in the United Kingdom, with the busiest ones being those in its capital London. Here is a list of some of the main airports in the UK. British Airways is the national carrier of the United Kingdom and flies to many main cities around the world. Apart from the national carrier, virtually all major airlines in the world have the UK as one of their destinations. For those on a budget, there are also many low-cost carriers in Europe with destinations in the UK. Easyjet, one of the biggest low-cost carriers in the UK, flies into different parts of the country from around Europe, as does Ryanair. Also, loads of charter airlines serve destinations in warmer places like southern Europe, the Caribbean and the Middle East. Trains from continental Europe enter England via the the Channel Tunnel, also known as Chunnel, a 50.5-kilometre-long undersea rail tunnel. The two main services are the Eurostar, a high-speed passenger train, and the Eurotunnel Shuttle, for vehicle transport (see By Car section, below). Eurostar runs from Paris and Brussels as well as seasonal destinations to London and other south-eastern locations in the UK. Refer to the Eurostar Route Map for all possible connections to the UK. The cross-border intercity train service between Belfast and Dublin is called the Enterprise. The journey takes just over two hours and is jointly operated by the Irish Rail and NI Railways. The drive from Ireland to Northern Ireland usually starts from Dublin city centre at Ireland's M1 motorway toward Belfast. There is neither border control nor signpost in between the journey to tell you that you have crossed the border. However, one may noticed that the road signs in Northern Ireland are only in English unlike Ireland's bilingual signs (English and Irish). In the UK, all road signs displaying distances and speed limits are in Imperial units (width and height: inches, feet; distance: yards, miles; speed: miles per hour) unlike the rest of Europe, including Ireland, where the metric system (metres, kilometres, kilometres per hour) is used. Translink operates an hourly service direct from Dublin Airport (IATA: DUB, ICAO: EIDW) and Dublin city centre to Belfast city centre. Eurolines and National Express provide services to both continental Europe as well as Scotland and Wales. The United Kingdom is very well connected to quite a few countries in the western and northern parts of Europe. Irish Ferries between Rosslare and Pembroke. Irish Ferries Dublin and Holyhead. Stena Line between Rosslare and Fishguard. Stena Line between Dun Laoghaire and Holyhead. Stena Line between Dublin and Holyhead. Fastnet Line Ferry between Cork and Swansea. Superfast Ferries has overnight ferries service 3 times a week from Rosyth (Scotland) to Zeebrugge (arrive 11:30 next day). P&O Ferries offers daily overnight ships between Hull (England) and Zeebrugge as well. DFDS Seaways between Newcastle and Kristansand. Norfolk Line between Dunkerque and Dover. 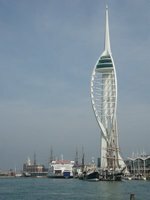 Transmanche Ferries between Dieppe and Newhaven, Dieppe and Dover, Boulogne and Dover and Le Havre and Portsmouth. British Airways has flights between London, Edinburgh, Glasgow and many other cities in England like Newcastle. Other airlines include BMI, Fly Be, Easyjet and Ryanair, offering numerous connections between England, Scotland, Wales, Northern Ireland and some smaller islands like Jersey, Guernsey, Alderney and the Isle of Man. While the smaller airports in Scotland a lot of the flights are carried out by Highland Airways, Eastern Airways and Fly Be. National Rail has all the information you need about schedules and prices. There are dozens of daily connections between all major cities, including London, Birmingham, Manchester, Liverpool (England), Cardiff (Wales), Glasgow and Edinburgh (Scotland). 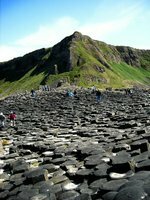 See the Northern Ireland, Wales, England and Scotland articles for travelling within those countries. The United Kingdom has an excellent system of motorways, connecting all major cities in England, Wales and Scotland and within Northern Ireland. International and local firms have offices to rent cars at many airports and downtown. The main companies include Hertz, Avis, Sixt, Budget, Europcar, Thrifty and Enterprise. Driving is on the left and you need a national or international driver's licence. Car insurance is also a legal requirement although hire companies will include this in their rates. National Express is the main operator with daily buses connecting the bigger cities as well as regional towns. Look online early enough and you can sometimes get intercity tickets for as cheap as £1. There are several ferry companies offering services in the United Kingdom to the outlying islands and also between Scotland and Northern Ireland. Companies include Stenaline, P&O Ferries and Norfolk Line Ferries. Caledonian MacBrayne is one of the largest ferry operators in Scotland with services on the west coast and Clyde estuary. Many islands, including the Inner and Outer Hebrides, are served by them. In Northern Ireland, they also have ferries between Ballycastle and the island of Rathlin. Northlink Ferries operates boats between the Orkney Islands and the Shetland Islands. Ferries leave from Aberdeen for Lerwick, or from Scrabster to Stromness. Others include Wightlink Ferries to the Isle of Wight and Scilly Line boats to the Isles of Scilly. Passport holders of members countries of the European Union (EU) or European Economic Area (EEA), or Switzerland have the right of free movement and residence in the UK. European Economic Area: Austria, Belgium, Bulgaria, Cyprus, Czech Republic, Denmark, Estonia, Finland, France, Germany, Greece, Hungary, Iceland, Irish Republic, Italy, Latvia, Liechtenstein, Lithuania, Luxembourg, Malta, Netherlands, Norway, Poland, Portugal, Romania, Slovakia, Slovenia, Spain, Sweden, United Kingdom. Iceland, Liechtenstein and Norway are not members of the European Union (EU) but citizens of these countries have the same rights to enter, live in and work in the United Kingdom as EU citizens. For all other nationals, entry clearance (visa) may or may not be required for visiting the UK. Andorra, Anguilla, Antigua & Barbuda, Argentina, Australia, Bahamas, Barbados, Belize, Bermuda, Botswana, Brazil, British Virgin Islands, Brunei, Canada, Caymen Islands, Chile, Costa Rica, Croatia, Dominica, East Timor, El Salvador, Falkland Islands, Faroes, Gibraltar, Greenland, Grenada, Guatemala, Honduras, Hong Kong (SAR), Israel, Japan, Kiribati, Korea (South), Macau (SAR), Malaysia, Maldives, Marshall Islands, Mauritius, Mexico, Micronesia, Monaco, Montserrat, Namibia, Nauru, Netherlands Antilles, New Zealand, Nicaragua, Palau, Panama, Papua New Guinea, Paraguay, Saint Helena, Saint Kitts and Nevis, Saint Lucia, Saint Vincent, Samoa, San Marino, Seychelles, Singapore, South Georgia and Sandwich Islands, Tonga, Trinidad and Tobago, Tristan da Cunha, Turks and Caicos Islands, Tuvalu, United States, Uruguay, Vanuatu, Vatican City. Visa nationals are required to apply for entry clearance before entering the UK. For the latest visa requirements, visa application guides and other immigration matters, refer to the UK Border Agency Visa Services. The currency of United Kingdom is the pound sterling with the international currency code GBP (Great Britain Pound). The currency sign for pound is £ (the symbol is derived from the letter L). It is also known to the locals as quid (both singular and plural), which a slang term, so you might hear people say "two quid" instead of two pounds. One pound is divided into 100 pence (singular: penny). Although the Bank of England (BoE), the central bank of the UK, issues most of the banknotes, sterling banknotes are also issued by seven other private banks. This often creates confusion amongst travellers when they travel from one country to another. Banknotes issued by the BoE are accepted everywhere in the UK and are legal tender in England. However, this is not true for banknotes issued by the seven other banks. Some merchants may refuse to accept banknotes issued by banks other than BoE and banks in that country. For example, Bank of Scotland banknotes might not be accepted by merchants in England and Northern Ireland. Ulster Bank banknotes might be rejected in Scotland. Do not worry if this happens. You could try to use them again at bigger merchants or simply exchange them at banks pound for pound, with banknotes issued locally or that from BoE. When you make a purchase in cash and there is a change, you may ask the merchant to give you the change in BoE notes and they will usually oblige the request if they have them. Fifty pounds (£50) banknotes are best avoided as they would not be accepted by merchants due to their rarity and the risk of counterfeit notes. So if you are given £50 banknotes when you exchange money at money changers, return them and ask for smaller denominations. Automated Teller Machines (ATMs), also known locally as cash machines, cashpoints, or "holes in the wall," are widely available in urban and suburban areas. Banknotes dispensed by ATMs are in £5, £10 and £20 denominations. All ATMs are connected to the Cirrus and PLUS networks. Some ATMs may charge a withdrawal fee and you will be informed of this before the completion of the transaction to allow you to cancel it if you do not agree with the fee. Credit cards are widely accepted and Visa and Mastercard are usually the preferred ones by merchants. American Express is usually only accepted by large stores, so check before you decide to purchase anything if that's the only card you have. Nationals from other countries who wish to live and work in the UK will have to apply under the point-based Highly Skilled Worker (Tier 1 General) category. Applicants have to score a minimum number of points in order to be eligible for this programme. The British government also operates a Youth Mobility Scheme for nationals of selected countries aged 18 to 30 years old. Successful applicants will be allowed to live and work in the United Kingdom for a maximum time of 24 months. The United Kingdom is home to many highly-ranked universities. The ancient universities of Oxford and Cambridge (the latter celebrating its eight hundredth anniversary in 2009) and the slightly newer University of London are regularly placed highly in rankings of the world's best universities. For more information on different universities, see the articles on specific cities. English is, not surprisingly, the main language in the UK. Since the language originated in the UK and has evolved over hundreds of years, mixing Germanic roots with huge dollops of French and Latin vocabulary, there are wide local variations in both accent and vocabulary, with mutual comprehension not always guaranteed. However, there is a standard form of English, which is used in newspapers and (often) on the BBC. Welsh - Widely studied in schools in Wales, and especially widely used in North Wales. It has official status under the Welsh Language Act 1993. Welsh TV programmes are broadcast. Scottish Gaelic - Never spoken in lowland Scotland, Orkney or Shetland, but still widespread in the Western Isles. Irish Gaelic - A compulsory subject in schools in the Republic of Ireland, and an official language of the European Union. It is an official minority language in Northern Ireland. These days few, if any, native speakers of Welsh or Gaelic are monoglot. So you can speak English anywhere and expect to be understood - if your English is good enough. There are many national dishes from each of the regions of the U.K. The most famous Scottish dish is haggis. This is a dish of mince, onions and other seasonings. It is traditionally prepared in a sheeps stomach although more recently commercially prepared Haggis is not prepared in this way. The sunday roast is a still a common dish consisting of a roasted joint of meat, roast potatoes and vegetables. Yorkshire puddings are traditionally served with beef although some people eat it as a course on its own seperate from the main meal. Cawl is a term used in English to refer to a Welsh stew of meat and vegetables. Lamb is a common constituent due to Wales association with sheep farming. Fish and chips is a favourite dish of the U.K. Usually served with mushy peas, this dish is commonly a take away food and is widley associated with seaside towns and working class culture. All regions of the U.K have their own variants of a full breakfast or fry up. All contain some combination of fried bacon, eggs, sausages and other ingredients. You will find a wide ranch of accommodations within the United Kingdom. From simple and cheap hostels and B&B's to the 5 star hotels in the big cities. For a list of accommocations, please check the city or town pages in this guide or go to the accommodation section. The drinks for which the UK is known are not necessarily the drinks drunk by the majority. In common with other northern European countries, alcohol consumption is relatively high by international standards, and much of this consumption takes place on Friday and Saturday nights, when the atmosphere of city and town centres is markedly affected. The beer most commonly drunk is continental lager; alcopops are also popular. But you don't come to the UK to drink German or Czech beer, wonderful though it can be. The UK is the home of ale. The variety of ale around the country is one of its cultural glories. Unlike the lager sold in pubs, ale is usually alive: it sits maturing in barrels in the cellar of the pub (and so it can go off quite quickly). It is best drunk at a warmer temperature than lager (although not actually, despite the cliché, 'warm'). An ale is likely to be 'real' (that is, still alive) if the barperson has to pull the pump by hand. If he or she just flips a tap, it isn't real ale and it may be very ordinary indeed. Other forms of ale are occasionally seen but are not common: mild in the north of England, and porter (from which stout was derived) in London. Some white wine, both still and sparkling, is made in southern England. At this latitude, the vine is at its northern extreme. Styles are more German than French. Wine is quite heavily taxed and is not cheap in the UK. However, probably precisely because of the relative dearth of local production, it is the world's centre of the international (wholesale) wine trade. If you can't find a wine in London, it isn't exported. Port and Madeira were both invented for the British market, and the Bordeaux wine trade has had strong British links since the days of Eleanor of Aquitaine. As for spirits, the UK is probably best known for gin and for Scottish malt whisky. Gin - which the British got from the Dutch - probably needs no introduction. The type of gin drunk in gin and tonics over the world is London dry gin. Whisky (derived from the Gaelic for 'water of life', and hence etymologically identical to aqua vitae) shares with beer an origin in the fermentation of barley. It also shares with beer a staggering and wonderful variety, ranging from the light and aromatic whisky of the lowlands to the pungent malts of Islay. It comes in two main types: single malt and blended. A single malt is distilled in a particular batch at a single distillery. There are no bad single malts on the market; presumably the ordinary ones just died out. Blended whisky can be very good - Johnny Walker Black Label is superb - but it can be utter rubbish, fit only for a heavily diluted whisky and ginger. The difference between a good and bad whisky is like that between different species, so avoid anything under £12-15 a bottle. Whiskey, with an 'e', is made elsewhere, notably in Ireland, the USA and Japan (with some wonderful examples in the latter). But Scotland is its home: nowhere else matches the number and quality of its whiskies. Many of its whisky distilleries can be visited. There are no vaccinations legally required to travel to the United Kingdom. The healthcare system is the UK very good. Some of the best doctors and hospitals in the world are located in the UK. The National Health Service is the public health service provided by the government and is very good by international standards. There is also a system of private hospitals but private insurance is needed unless a patient wants to pay the full price. For pet owners bringing animals to the UK rabies is not endemic in the UK and the authorities would like it to stay that way. Pets susceptible to rabies are required by law to spend six months in quarantine (unless they qualify for the Pet Travel Scheme - a pet passport). In case of emergency, dial 999 or 112 for Police, Ambulance, Fire Brigade and Coast Guard. It's free of charge. Although tourist areas are generally safe, travellers should still practise some common sense safety precautions just as they do anywhere in the world. In some towns and cities, drinking in public places is an offence, and you could be slapped with a fine if caught. However, this law is widely flouted. 1 Mid-2010 estimate, Office for National Statistics. Retrieved on 2011–08–01. 3 Glossary. UK Border Agency. Retrieved 2009–02–18. 4 UK Border Agency Visa Services. Retrieved on 2009–02–18. Live here in Wales now but previously both lived and travelled in most parts of the UK. Use our map of places to stay in United Kingdom to explore your accommodation options and to compare prices across the country at a glance. To narrow the results down by budget category, use the links below. This is version 153. Last edited at 12:05 on Mar 3, 17 by Utrecht. 375 articles link to this page.